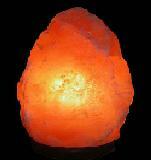 Salt Lamps ” a natural gift from the Himalayan Crystallized Salt Rocks are ” Natural Air Ionizers “. 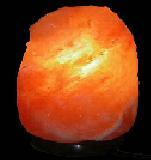 The healthful Negative Ions produced by Salt Lamps effectively and naturally purify and improve the quality of the air we breathe, thus are the real ” Vitamins Of The Air “. The Natural Salt Lamps are made from Crystal Rock Salt formed by nature over hundreds of millions of years ago, and mined 800 meters underground in rock salt mines. These natural Salt Crystals are collected from the world’s oldest mines of rock salt in Himalayan Mountains of Pakistan . They are carefully shaped to retain the unique, natural shape, crystal structure of the salt rock and also geometrical smooth shapes. 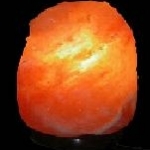 Therefore, each Rough Shape Salt Lamp displays its own unique beauty! 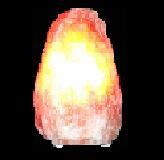 And the geometrical crafted shape lamps/crafted shape tea-light candle holder are equal in the shape and size.